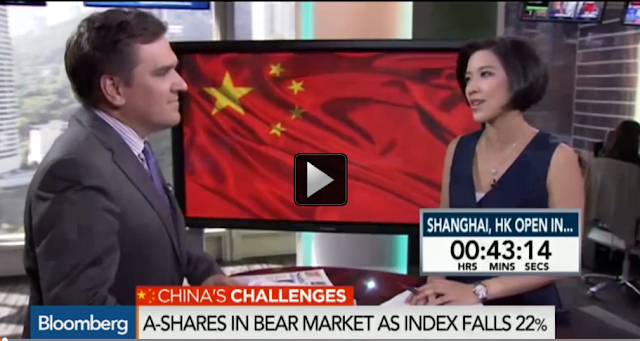 China Shanghai Index Drop 22%, into bear market? Cut??? If the Rate cuts and RRR cut dont work, what will China Government do to prevent further drop? Freeze/ Suspend IPO as alot of money has gone into the IPO stock, they have gone up and now came back down. Reduce Stamp Duties or the Leverage of Margin financing. This round of correction is good for the bull market, it is actually a long overdue correction to remind the investors to be cautious of market Volatility. It is not whether your stock is a good stock or a bad stock because everyone will think their stock is good, that is why they buy and own it. It is about the size you are holding is it too big for you to hold, more often than not, Investor tend to take too much risk than they suppose. How much Risk is Right? If you can sleep very well when Dow Jones/SSE drop 3% a day, That means you are managing Risk right. If you feel worry and cant sleep, that risk is too much for you. Bottom Line: "Market will always be around, you must be around when market turn around"